The first part consists of an exhibition featuring works by artists such as Antoni Muntadas, Cinthia Marcelle, Pavel Kogan, Eva Kot’átková, Rineke Djikstra, Dennis Adams, Dora García, Pipilotti Rist and Erwin Wurm, exploring the themes of the sources of knowledge, the museum as a personal experience, and the changing role of spectators and their place within the museum. 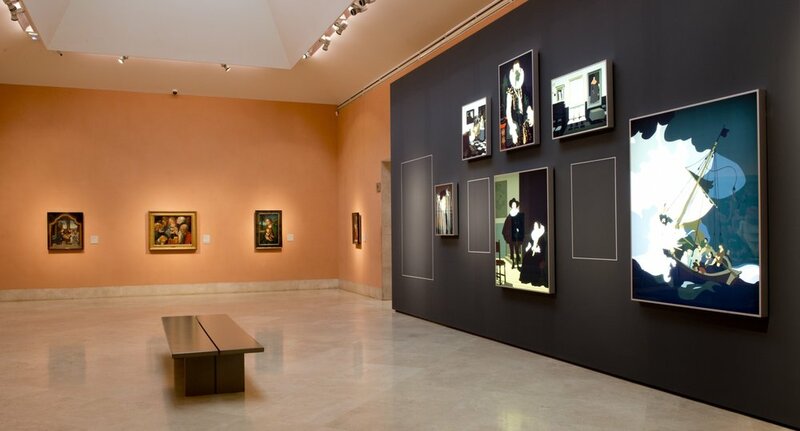 The second part of the project takes place in the galleries that house the museum's permanent collection and consists of a series of installations that include iconic works (such as Duchamp's Boîte-en-valise and Portrait of Ross in L.A. by Félix González-Torres) as well as interventions by living artists (Kota Ezawa, Herz Frank, Luis Camnitzer, Mateo Maté, Oriol Vilanova, Olafur Eliasson and Rebecca Louise Law), creating dialogues between past and present to reinforce concepts in the works and transform the experience of spectators by putting them in unexpected or unconventional situations. Meanwhile, artists-in-residence will create their own interventions in different parts of the museum.